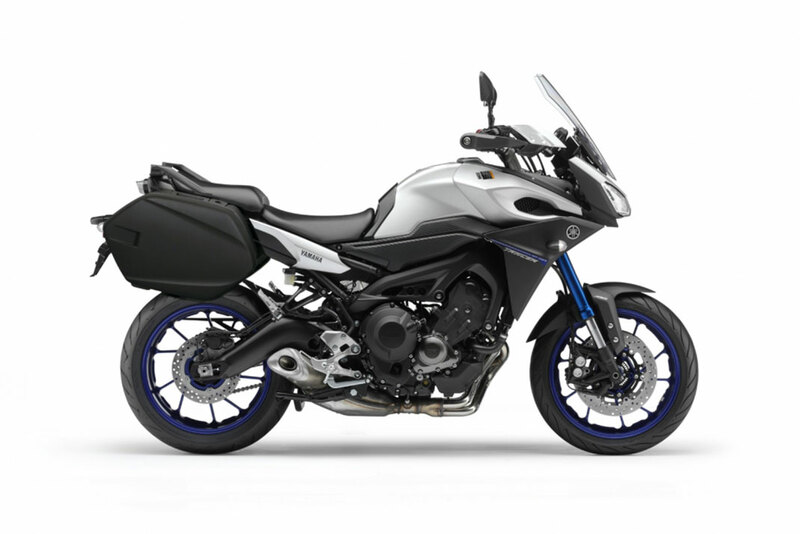 Tracer takes the MT-09 concept one step further with an action tourer that mixes hooligan tendencies with long distance touring ability. Equipped with a sharp looking cowling as well as a large capacity fuel tank - and benefiting from an adjustable riding position - the Tracer is built to suit a variety of needs. A torque laden triple cylinder engine with traction control is built to hammer and its lightweight aluminium chassis and high-tech ABS brakes live for the next corner. Go Jekyll or Hyde depending on your mood. 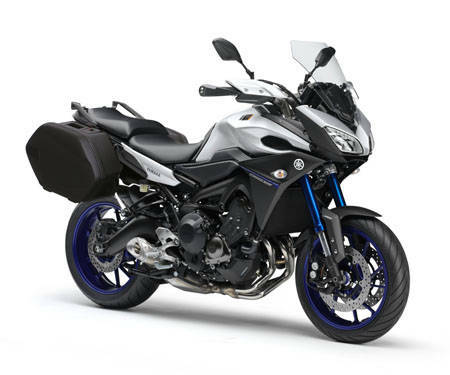 To give the MT-09 Tracer rider the bike - and the excitement - he or she needs in different riding situations, this motorcycle is equipped with the Yamaha D-MODE system. 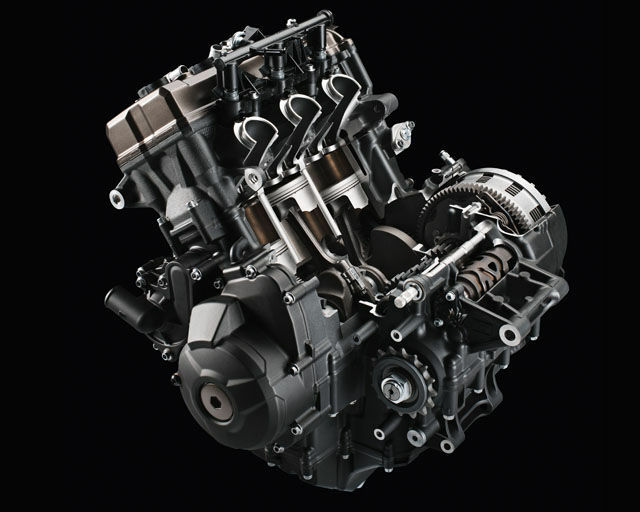 The rider has a choice of three different throttle valve control mapping settings, STD Mode, A Mode and B Mode. 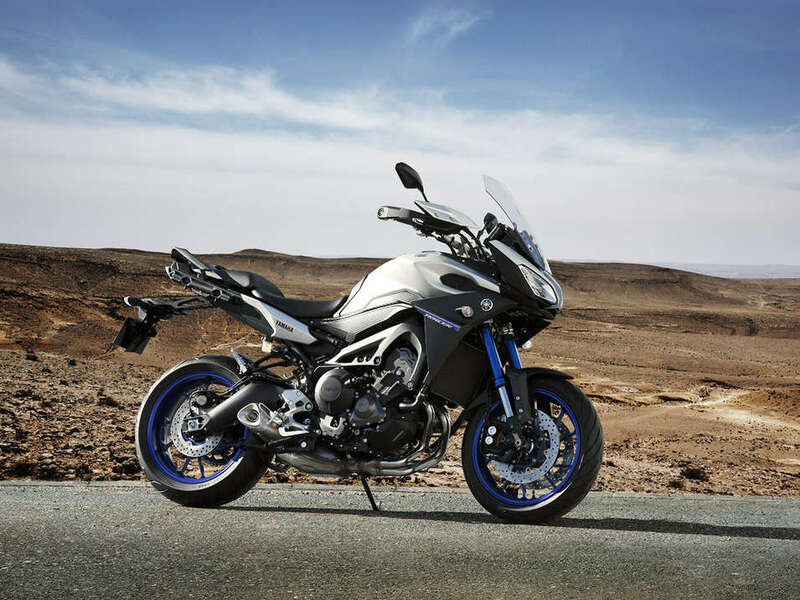 The dashboard comes from the latest Super Ténéré and includes indications for gear position, outside temperature, fuel level, drive mode settings, traction control settings, accessory grip heater settings, and more. 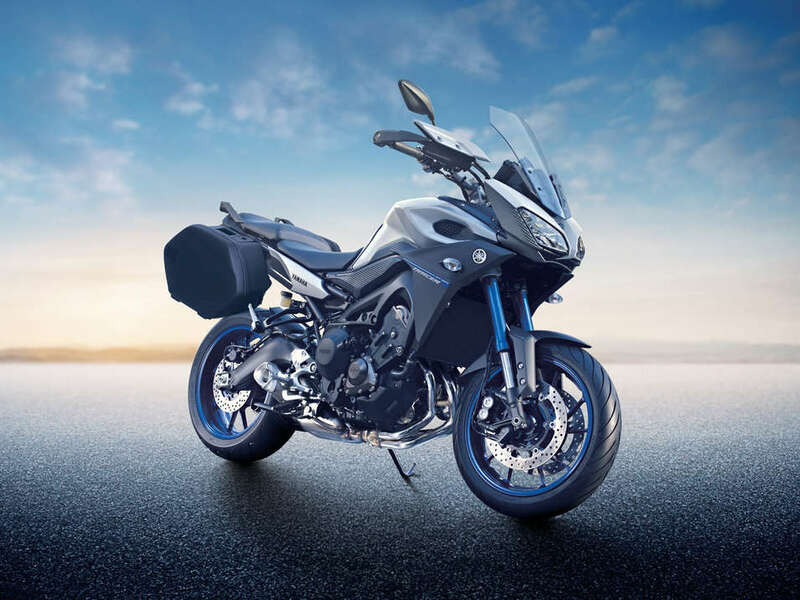 The MT-09 Tracer is equipped with ABS as standard, and to underline its genuine touring, commuting and long distance potential, this new multi-role triple benefits from a range of exclusive new features, including the use of touring tyres, as well as the fitment of a standard main stand. The fuel tank has a generous 18 litres capacity, the modern engine has a low fuel consumption good for 300kms between refills.